The Bolle Rainier is one of the top pairs of sunglasses for this summer. Mountain junkies know the importance of a good do-it-all pair of sunglasses in the summertime. When the sun is shining, we want to be outdoors on a bike, on a trail or on the water. All of these activities require good vision and protection from the sun. With so much sport-specific equipment these days, it’s nice to have a pair of shades that work just as well charging down singletrack as they do casting a line into a stream. Check out the latest and greatest shades below that are the perfect marriage between form and function. Smith is rooted in stylish eyewear that doesn’t sacrifice on performance. The Terrace is just the latest set of sunglasses from this iconic Idaho company to follow those founding tenets. 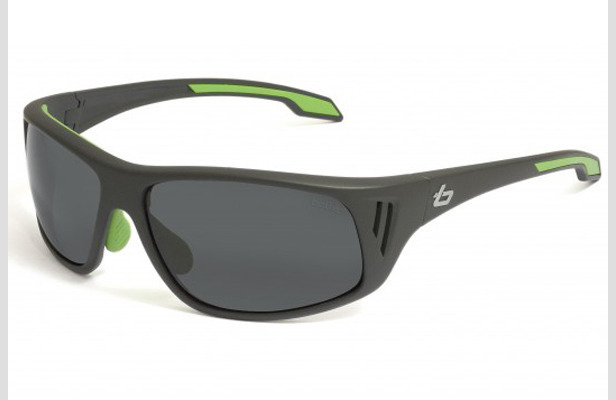 The sleek frame is action-inspired with a fast profile. The shades will look stylish on Main Street, but the polarized carbonic TLT lenses and hydrophilic megol nose and temple pads ensure that you’ll be able to see when it counts and that they’ll stay on no matter what the mountains throw at you. You don’t need a bumper sticker to prove you’re a native, just slip on a pair of the Native Andes and you’ll feel right at home wherever you are. The Andes come with two sets of interchangeable polarized lenses that you can switch out with ease and without fingerprints. Rather than adding rubber (and bulk) to the frames, Native incorporated co-injected molding right into the plastic to ensure a snug fit. The exhaust vents prevent the lenses from fogging while also blocking extraneous incoming light. The Twenty is the latest take on a classic Oakley design. While these shades may look like something you’ve seen before, the features that Oakley put into the Polarized Twenty make them a whole new animal. Unobtanium nose bridge and ear socks get tacky when wet—ensuring a slip-free fit. The polarized Plutonite lenses are shatter-resistant and exceed safety standards. Pick out the color and lens that fits you best and hit the trail or the town. The Rainier is ready for whatever mountain adventures you have planned. These lightweight specs are built for the mountains. The bClear lenses feature self-rejuvenating anti-fog technology and special coatings to repel dirt and water. The frames are breathable due to vented temples and they’ll stay on your noggin thanks to Bolle’s Thermogrip technology. Stylish lines and colors help to set you apart whether canoeing on a river or canoodling in the park.